In a significant judgment, the Supreme Court today ruled that any attempt by Khap Panchayats or any other assembly to scuttle or prevent two consenting adults from marrying is absolutely "illegal". Delivering a judgment in the PIL filed by NGO Shakti Vahini on the issue, a bench of Chief Justice Dipak Misra, Justices A M Khanwilkar and D Y Chandrachud also laid down a slew of measures to protect inter-faith and inter-caste marriages generally objected to by the Khap Panchayats. 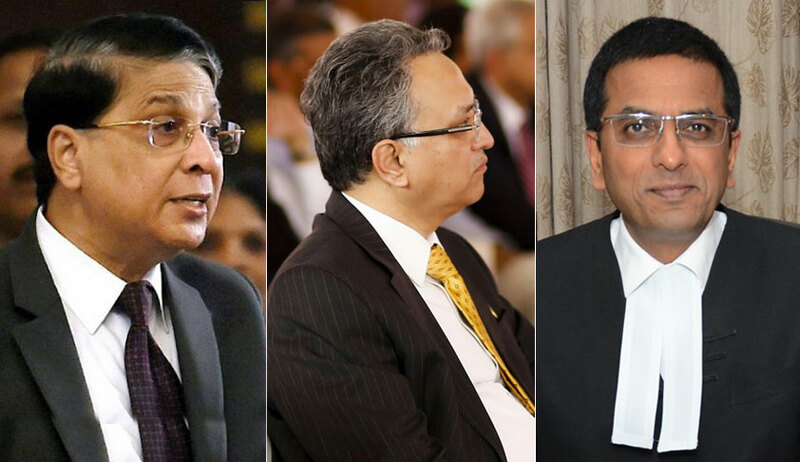 "These remedial, preventive and punitive measures will hold field till the legislature brings in a law", CJI Misra said reading out the operative portion of the judgment. On February 5, during the hearing the bench said when two consenting adults agree to enter into matrimony no individual, group or collective rights shall interfere to harass the couple. It had asked the Khaps or Indian Kangaroo courts not to behave like the conscience keeper of society, pointing out that a marriage between two adults was governed by the law. The court had said it would set up a high-level committee consisting of senior police officers to deal with issues relating to intervention in marriages by bodies such as khap panchayats. “Whether the law prohibits or allows a particular marriage, the law will take its own course. Don't be the conscience keeper (of society), the bench had said. The PIL sought a crackdown on khap panchayats and menace of honour killings. SC's remark had come when a counsel representing a khap panchayat said it had been encouraging inter-caste and inter- faith marriages and referred to provisions of the Hindu Marriage Act which prohibit a union between 'sapinda' relationships or close blood relatives among Hindus. What offended the court was that the lawyer said the khap had been performing its duties as the conscience keeper of society. “We are on a very fundamental issue. The marriage is between two adults and it is their choice. You cannot take the law into your own hands. Khaps had no business in such matters.”, the court had said. Referring to several judgements including the one passed in the sensational Nitish Katara murder case and said, the court had said, “When two persons marry, if they are adults, the matter ends”. The Centre too had pleaded with the apex court to put in place a mechanism to monitor crimes against women by khap panchayats, saying that the police was not able to protect such women.